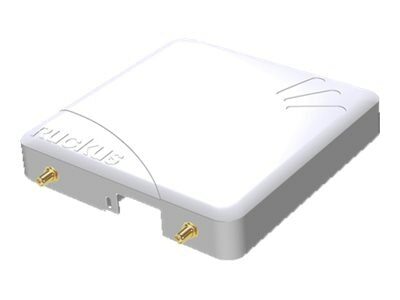 The Ruckus ZoneFlex 7372 mid-range 802.11n 2 x 2:2 access points are designed for high density mobile device environments with bandwidth hungry and latency sensitive applications such as voice and video over Wi-Fi. These APs boast Ruckus patented adaptive antennas enhanced with polarization diversity to deliver BeamFlex+. This technology works in conjunction with Ruckus' advanced channel optimization to provide industry-leading wireless performance. BeamFlex+ combines dynamic polarization diversity with adaptive antenna arrays and transmit beamforming to give customers up to a 4x improvement in Wi-Fi performance, signal gain and reception. 6.2" x 6.2" x 1.57"